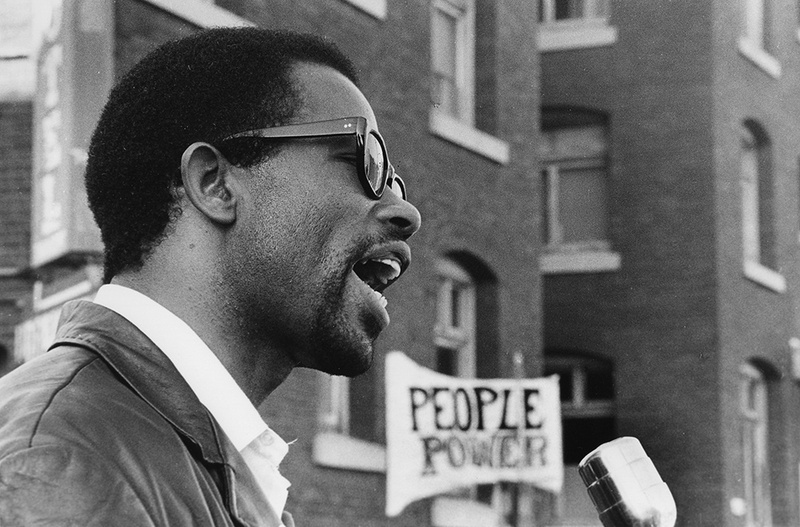 Editor’s Note: On October 1 at the Lakeside Theater in Oakland, IDA will present a special Bay Area edition of its Conversation Series, featuring The Black Panthers director Stanley Nelson talking with Orlando Bagwell, director of the Documentary Program at the UC Berkeley Graduate School of Journalism. Learn more and purchase tickets. Set against the backdrop of a country trying to find its footing amidst the still-burning embers of the 1960s' demand for racial equality, Stanley Nelson's new historical documentary about the Black Panthers may feel more contemporary than audiences might expect. The Black Panthers: Vanguard of the Revolution weaves an insider's tale about the rise of the Black Panthers movement in response to police brutality targeted at African-Americans in Oakland, the cult of personality surrounding its major figures, and the FBI's retaliation against a bold group of young people demanding change. Nelson tells the story intimately through rare archival video and photos—including FBI footage from the time—and stories of the people who were there: former Black Panthers, police and others. 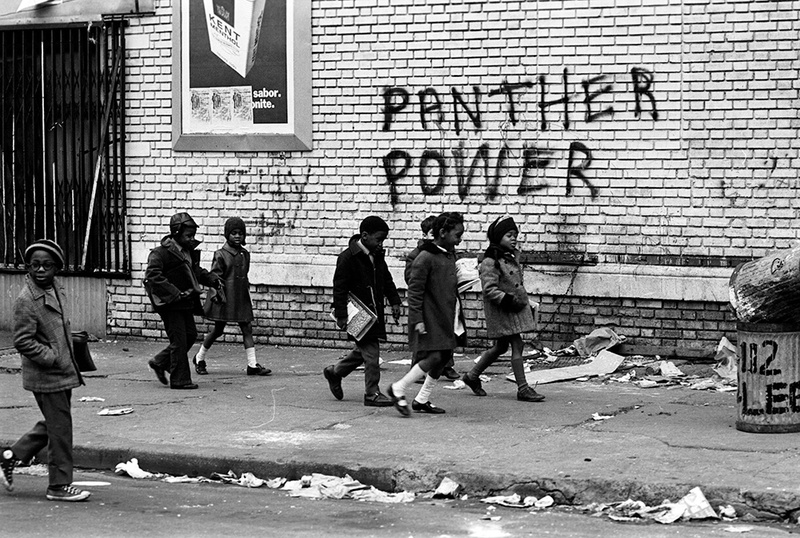 In addition to spotlighting the movement's rise in response to the socio-cultural conditions of the day, the film powerfully illustrates the Panthers' significance to the broader American culture and African-American identity. Through its members' distinctive look, style, perspective and demands for change, the movement evolved the conversation and the very culture of community organizing in the fight for racial justice in the United States. We spoke with Nelson via phone to discuss his motivations—both professional and personal—for making the film, his creative process and choices, and the connection with the audience in the midst of renewed demands for racial justice today. Why did you want to tell the story of the Black Panthers? As a filmmaker, I thought the Panthers story had not been told in all its complexities. I was 15 when the Panthers came into being, and I remember how influential they were for all of us. They were young and they were so different from so much of the civil rights movement that had been primarily religious-based. They were not. The story of the Black Panthers is a story about the socio-cultural conditions in America at the time. Do you think they were necessary within that context? What does the story of the Black Panthers tell us about building a movement for change, sustaining it and creating lasting change? What do you think is the most valuable and inspiring theme from their? The Black Panthers were very necessary; they talked about things that were concerns of ours in the North, like police brutality and other issues affecting our communities. You need this kind of militant fringe to move the movement forward, and they supplied that perspective. Their attitude was so different and so exciting to so many people. So, people learned there was another way to push the narrative; the idea that we have to at least discuss equality and justice in other ways. The backstory of the Panthers is that they come out of the civil rights movement and nonviolence, and finally saying "Black Power" was a huge moment. They likely couldn't have arisen in 1962 and 1964. And there was a feeling that the civil rights movement wasn't really reaching the North, and that the movement was religious-based. The whole attitude of the traditional civil rights movement was: "We will show you that we are more human than these people beating us." So there was a desire to show people in the movement wearing suits and dresses. The Panthers were in opposition to that. They were really saying, "We don't have to look better than you to prove we're human; we are demanding that you see we are human. We are demanding change and we're going to take it." 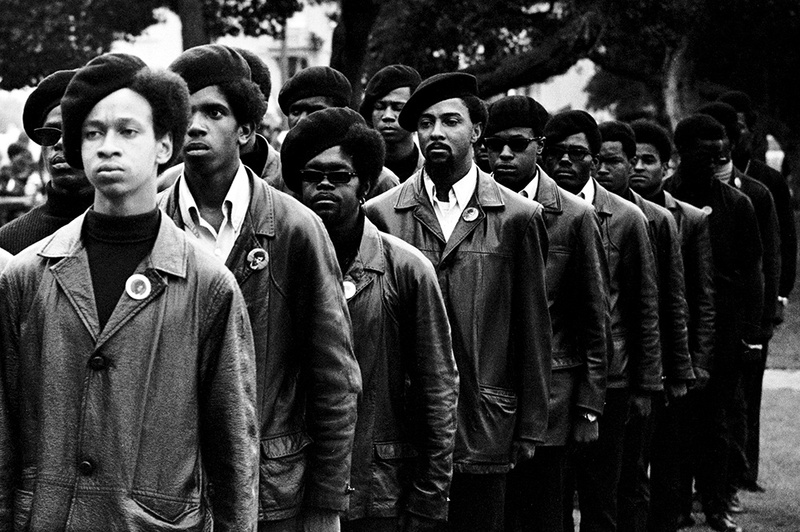 One of the great lessons was that the Panthers were a youth-led movement. Many people don't know that they were in their teens and early 20s. They created a movement we're still talking about 50 years later. I think the negatives are that they didn't understand the forces they were up against. They didn't understand the scope of the FBI's attacks on them. But I also think they got stuck in this rhetoric they started out with, like carrying guns—and that's what they become known for. It was hard for them to get away from that. It's an interesting lesson that your words and image carry real weight and meaning. What's something new in the Vanguard of the Revolution that audiences might be surprised to learn? Or something new you hoped to show? Aside from how young they were, one of the things that might be surprising is how quickly the movement caught on and how successful they were in manipulating the media; their story just exploded. I also think the extent to which J. Edgar Hoover and the FBI went to destroy them —with dirty tricks, pitting informants against one another, pitting husband against wife. No one really even understood that was happening at that time. I didn't understand the depths of it when I started, and I didn't understand that it was all documented. It was amazing to find and use the FBI footage to help tell the story. The FBI footage just started rolling in. Through scholars who worked with the FBI and others, we were able to put the pieces together and access the footage. Some scholars were working on stories about J. Edgar Hoover or the Panthers, so the footage was suggested by individuals who knew about this footage and the FBI documents. Some of the material came from Panthers themselves who had done their own research into the FBI because they didn't understand what was happening to them at that time. What was your creative process on this film? Did you sketch out a story based on exploratory research and fill in the gaps as you filmed, or find archival material first, or talk with subjects first? 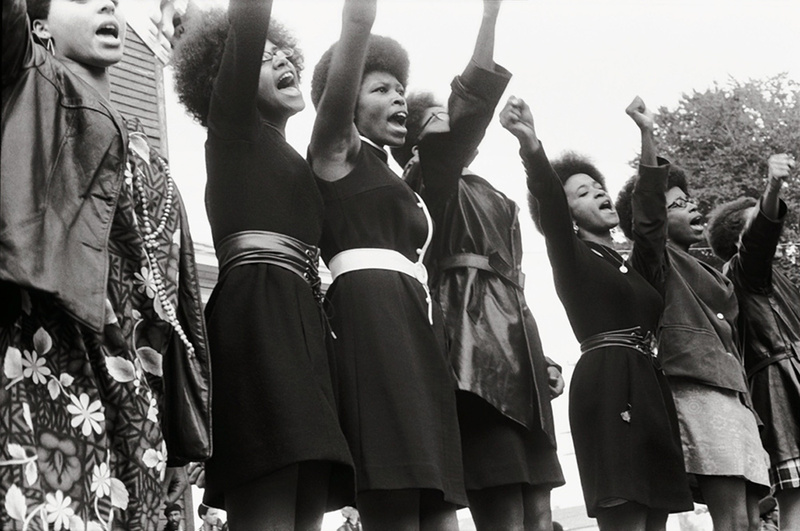 How did you establish the access to your core storytellers in the film, the former Black Panthers? It took us about four years to raise the money for this film. We wrote a first proposal with a few pages and the main idea. And as we went along, we wrote more about the big events that we thought we had to cover, and then the main story. It was an ongoing developing process, and each story progressed it further. We really wanted to figure out, for example, how to take one shoot-out with police to represent all the shoot-outs. We wanted to take Bobby Hutton's death and help it to represent something bigger. In terms of access, there was a lot of talking back and forth to let people know what we were doing and who we were. We met with the Black Panther Alumni Association a couple of times. At one point they were based in Philly, and we went down there to meet with them and convince them how important the Panthers were in my own life and how we wanted to tell the story in a different way. Creatively, why did you decide to make this film without narration? Narration can be really great in films, particularly if you have a great writer and a strong point of view. If you can make a film without narration, the audience then has a different relationship to the material, and it's a much more visceral relationship because there's no voice of God. We thought there were enough Panthers, police and FBI agents around to tell the story. Can you tell us a bit about the outreach and education efforts you and your team have built around this film? What impact do you hope this film will have on audiences and the culture generally? We're hoping that the film will be seen by young people especially. There's also a contingent of people who were around at the time and have been a supportive audience at our screenings. One of the things we did in December was to show an unfinished cut to the Ford Foundation, and we invited activist organizations to see the film and talk about it. This was the first audience we really had and we wanted to know what they thought. We were pleasantly surprised, because they said they thought it was a film that could be used to help young people understand the history of the movement and the importance of organizing. We're also planning to screen the film in dozens of cities across the US, and we hope to work with many different groups we've already been in contact with. Part of the reason we make these films is so that people and groups can use them in their own work. Others have noted the timing of this documentary—in the midst of #BlackLivesMatter and Ferguson and now the tragedy of the Charleston shooting—and the relevance of the themes of the Black Panthers today. What's your perspective? The importance of the film to what's going on right now in the country comes up all the time. The Panthers started 50 years ago as a counter to police violence that was taking place, particularly in Oakland. One of the reasons the movement caught on so quickly was because African-American young people said, "Us too; the same things are happening to us all over the country." The Black Panthers movement caught on really quickly as a response. There are obvious similarities with what is going on today. It's sad to see how little things have changed. Are conditions actually worse than 50 years ago? There are lessons for young people who are starting movements all over the country. Hopefully one of the things that happens out of these tragedies is the rise of the active movement, and the Panthers should be a lesson in how to organize, how to use the media—and not get used by the media—and how, if you have a movement, there will be forces against you who will do everything to stop the movement. Culturally, there are lessons to be learned from 50 years ago. I worked for TV producer Norman Lear for several years, and there is a piece in his new memoir that discusses how the Black Panthers visited him in his office in the 1970s to discuss the portrayal of African-American men in his TV show Good Times. Norman followed this up with the premiere of The Jeffersons, which was a totally different portrayal, of course. Although this isn't in your film, this anecdote showcases an element of the Black Panthers in terms of their involvement in the culture—that they even used their power to fight against particular reflections on TV at the time. Is this something you think people know? It was really important in the movie to talk about the look of the Panthers and the cultural change the Panthers created, and this was probably the most important cultural legacy that continues to exist today. There would not be Hip Hop without the Panthers. The whole attitude of the Panthers is reflected now. This was the first time you saw African-Americans with an in-your-face, very urban attitude that now is central to American culture. You could argue that this attitude began with the Panthers, and it was the first time we saw this in the culture and media. The Panthers were a part of media. They were not these scary villains we've learned about in history. In the movie, we talk about Jane Fonda and others supporting the Panthers, but we also think about how John Lennon introduced the Panthers on a TV show. We see white folks holding up signs supporting the Panthers. We wanted to give a sense of how the Panthers were really part of the culture at that time. Your films always air on PBS. Is that a specific choice in terms of the accessibility of public media? PBS offers the widest possible audience. If you have a TV, you get PBS, and that's really important. PBS really wants to work with films and audience engagement. Other networks can get you a billboard or your name on the side of a bus, but they aren't getting you into the community in 100 cities and not actively thinking about how you bring audience and community to your film. It's important for me that I do that as a filmmaker. For me, the audience piece is key. As journalistic institutions in the US continue to shuffle and figure out business models in the digital era, there has been a lot of talk recently about documentaries filling gaps in journalism, which comes with questions about storytelling process, editorial voice and the like. Do you think of your documentary films as journalism? It's an interesting question. In some ways, it's almost irrelevant. Not every film should be like the Black Panthers, and I really admire films that aren't so journalistic. The bottom line is that what I'm trying to do is also entertain people. If they're not entertained, they're not going to watch. So for me, the kind of journalistic integrity is really important. I don't want people to have to argue with any piece of the film. But again, I admire films that can break the kind of wall between journalism and fiction in documentary film. The Black Panthers: Vanguard of the Revolution premieres theatrically on September 2 at the Film Forum in New York City, followed by a national theatrical expansion throughout the fall. The film airs on PBS' Independent Lens in early 2016. For more information, visit theblackpanthers.com. 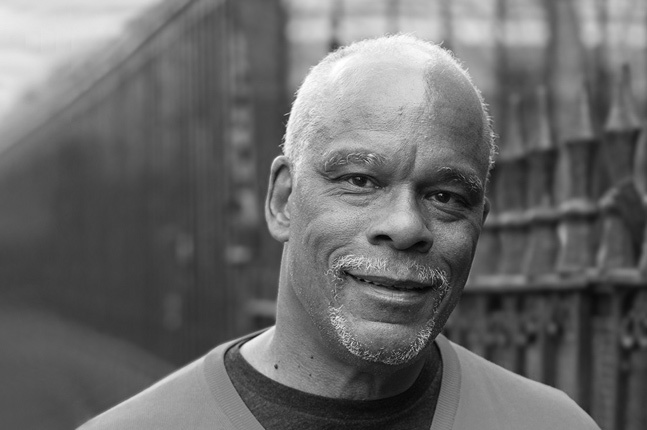 Join Stanley Nelson in conversation with filmmaker/educator Orlando Bagwell as part of IDA’s Conversation Series on October 1 at the Lakeside Theater in Oakland. Caty Borum Chattoo is co-director of the Center for Media & Social Impact, executive-in-residence at American University's School of Communication in Washington, DC, and a media and documentary researcher, strategist and producer.